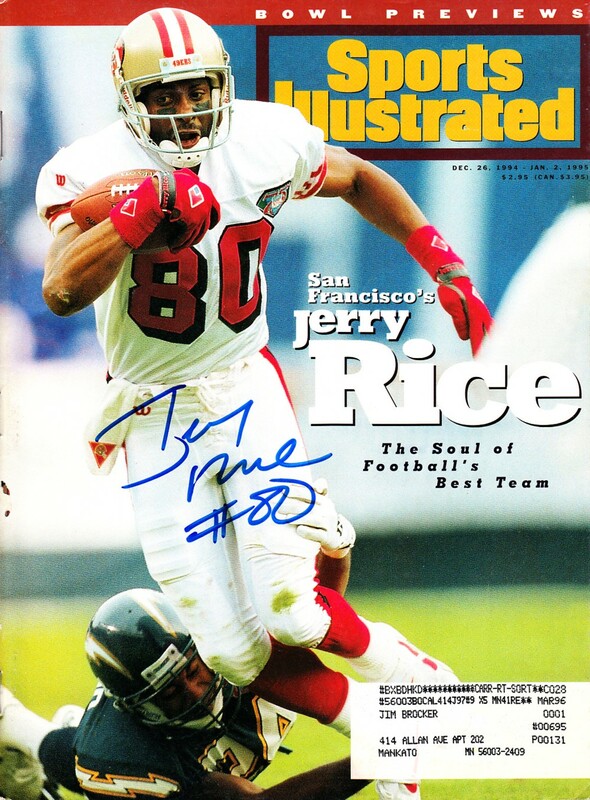 Complete 1994 Sports Illustrated autographed in blue marker by legendary San Francisco 49ers wide receiver Jerry Rice (he added his #80 to his signature which he doesn't always do). NOTE: Has two tiny tears near the spine below the middle staple, subscription address plus very minor wear. Suitable for framing. Obtained in person at Southern California celebrity golf tournament. With certificate of authenticity from AutographsForSale.com. ONLY ONE OF THIS ISSUE AVAILABLE FOR SALE.